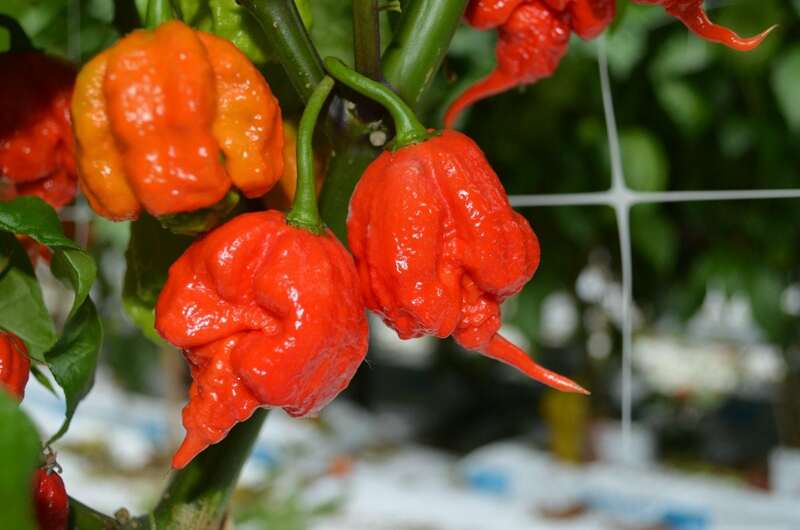 A man bit off more than he could chew when he tackled the world’s hottest chilli the ‘Carolina Reaper’ and was left with excruciating “thunderclap” headaches. In the first ever recorded case of a chilli causing these types of headaches, the man over the next few days experienced short splitting pains lasting seconds at a time. 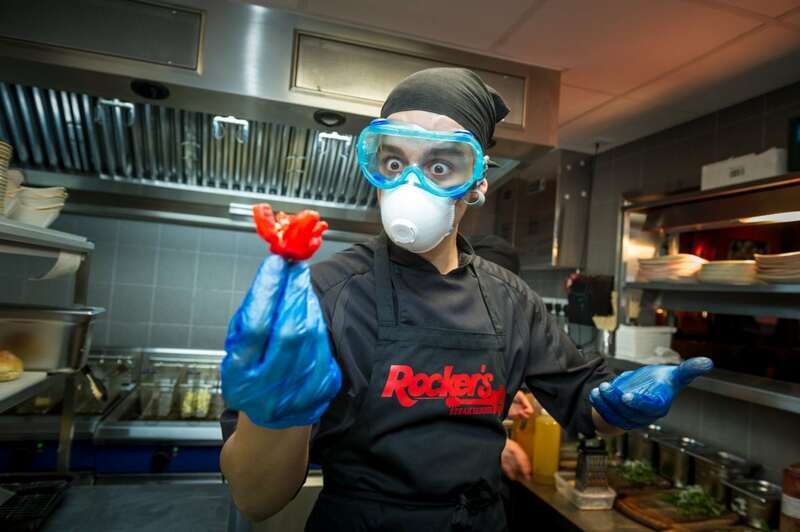 The 34-year-old had eaten just one of the chillies at a chilli eating contest. Immediately he began dry heaving and then developed intense neck and head pain starting at the back which then spread across the whole of the head. He then developed crushingly painful headaches, each of which lasted just a few seconds, over the next several days and the pain got so much he rushed to A&E. history presented to the emergency room after an episode of thunderclap headache. 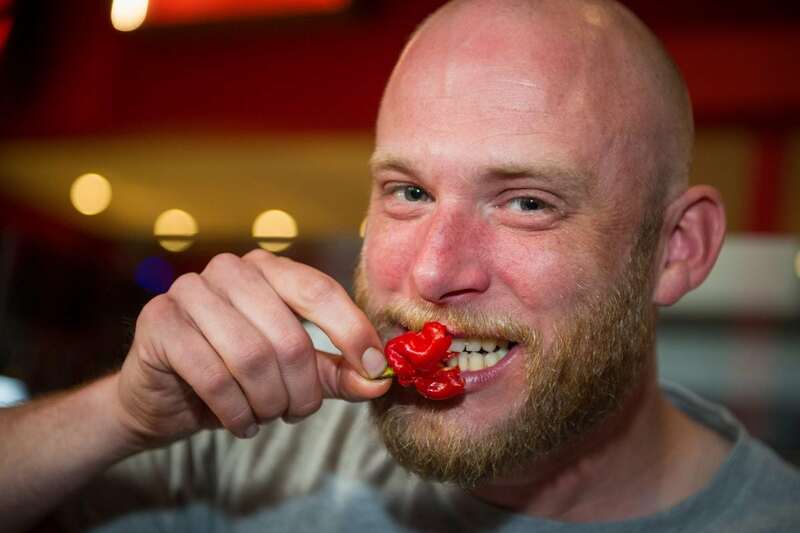 “His symptoms began with dry heaves but no vomiting immediately after participation in a hot pepper contest where he ate one ‘Carolina Reaper,’ the hottest chili pepper in the world. “He then developed intense neck and occipital head pain that became holocephalic. The patient told doctors he did not have any focal tingling sensation or weakness, slurred speech, or transient loss of vision. And his had slightly high blood pressure of 134/69mm Hg. Tests for various neurological conditions came back negative until scans revealed several arteries in his brain had constricted. This prompted US doctors to diagnose him with thunderclap headache secondary to reversible cerebral vasoconstriction syndrome (RCVS). constriction that resolves within days to weeks and often presents with a thunderclap headache. “It can occur without an identifiable cause, as an idiosyncratic reaction to certain medications (ergotamine, selective serotonin reuptake inhibitors, alpha– sympathomimetic decongestants, and triptans), or secondary to an illicit drug (cocaine, amphetamines, and ecstasy). “No cases of RCVS secondary to peppers or cayenne have been previously reported, but ingestion of cayenne pepper has been associated with coronary vasospasm and acute myocardial infarction. The man’s symptoms cleared up by themselves and a CT scan five weeks later showed his affected arteries had returned to their normal width. He added the case had implications for doctors presented with a similar unusual patient. RCVS should be considered as a potential cause of thunderclap headache after most common causes are ruled out including subarachnoid haemorrhage, cerebral vein thrombosis, and cervical artery dissection. The study was published in the journal BMJ Case Reports.